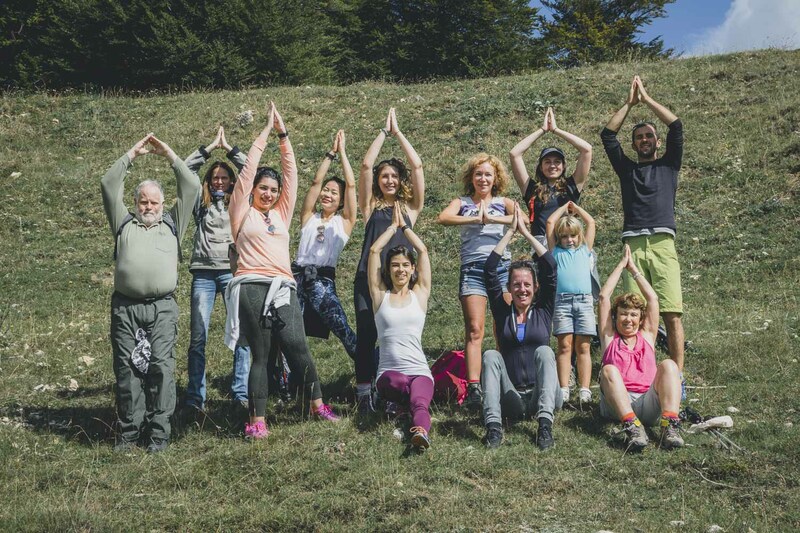 Set in a picturesque village inside Romania’s most beautiful National Park, Piatra Craiului (King’s Stone) mountains, our Transylvania yoga and hiking retreat will be an experience of a lifetime! Yoga, breathing and meditation practices to recharge your body and mind combined with nature and mountain walks to nurture your soul are complemented by historic outings to Transylvania’s most emblematic sites, like the Dracula Castle and stunning countryside. The Piatra Craiului National Park, one of the most majestic mountain ranges and unspoilt natural reserves in Romania harbors huge expanses of unspoilt forests and is home to wild bears, mountain goats, wolves and lynx …some of which are the last surviving species in Europe. In this quiet and quaint village you will find a handful of hard working mountain farmers and shepherds maintaining traditions going back hundreds of years, transporting you back in history. 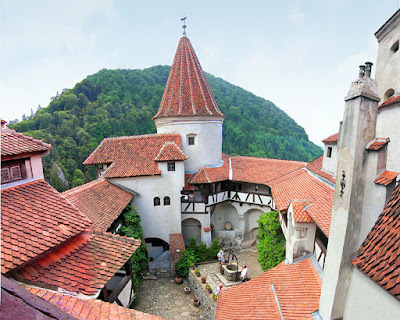 • Dracula’s Castle, Bear Sanctuary, Saxon fortified church, etc. 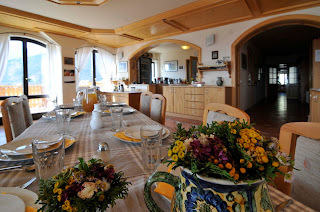 sitting at an altitude of over 1000m surrounded by unspoilt mountain views in the heart of the local countryside. 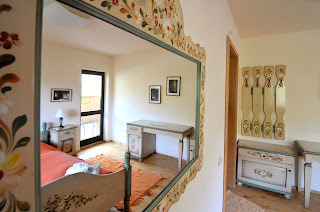 It has boutique bedrooms, all equipped with ensuite bathrooms. 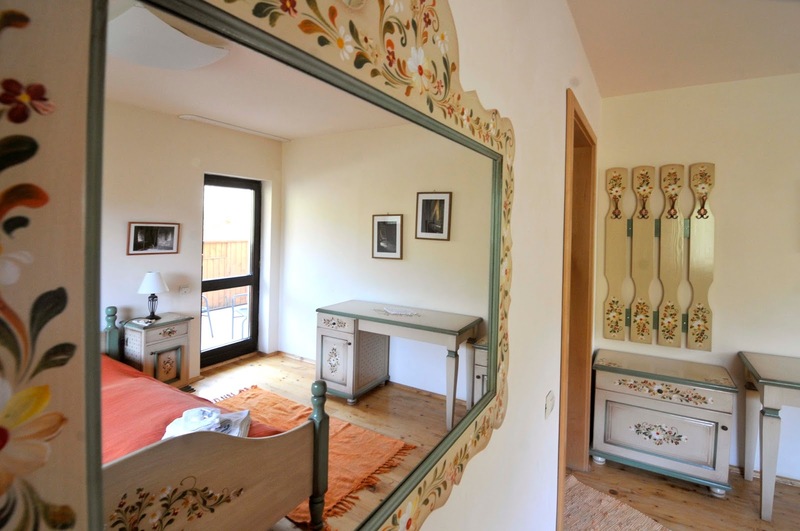 Some of the twin bedrooms have private balconies, while the single rooms feature glorious views of the mountains. The retreat has magnificent views over both the Bucegi and Piatra Craiului mountains as well as surrounding hills, forests and rivers. You will be inspired by nature, clean eating, relaxation and a healthy mind healthy body lifestyle. You will enjoy 3 delicious vegan/vegetarian meals each day as well as fresh fruit and teas available all day. The delicious menu is designed to fortify your overall health and wellbeing using organic unprocessed seasonal produce with the highest nutrient content possible. The food here is not only delicious and easily digested but deeply nourishing, sustaining, healing and energy-boosting. The aim is that you'll pick up good habits from being on retreat and that you'll continue to live a healthy and balanced lifestyle back home using essential principles about food and nutrition that are easily applicable in our daily lives. The yoga program is appropriate for all levels from total beginners to seasoned yoga students and includes Asana, Meditation and Pranayama (breathwork). You’ll be guided to get out of your comfort zone in a safe and loving environment and receive individualized attention. We will have daily yoga practices to complement the deeply connecting work we will be doing with the natural environment. Connecting to your body and moving it into places of new possibility. We will be working with a combination of Ashtanga Yoga and Somatic Awareness-Based practices. By the end of our yoga retreat you will feel deeply recharged and empowered: physically, emotionally and in spirit. The attendance to the yoga program and all activities is optional. If there is a morning you prefer to sleep in or an afternoon you would rather hang out in the sun than come to class, that's ok! Whatever makes you feel best, please do that. 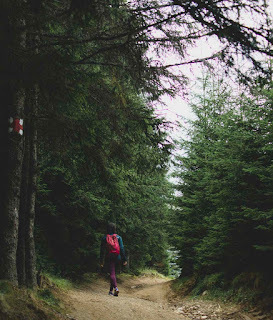 We hike through the rather original villages Magura and Pestera, situated on a plateau between the mountains Piatra Craiului and Bucegi. 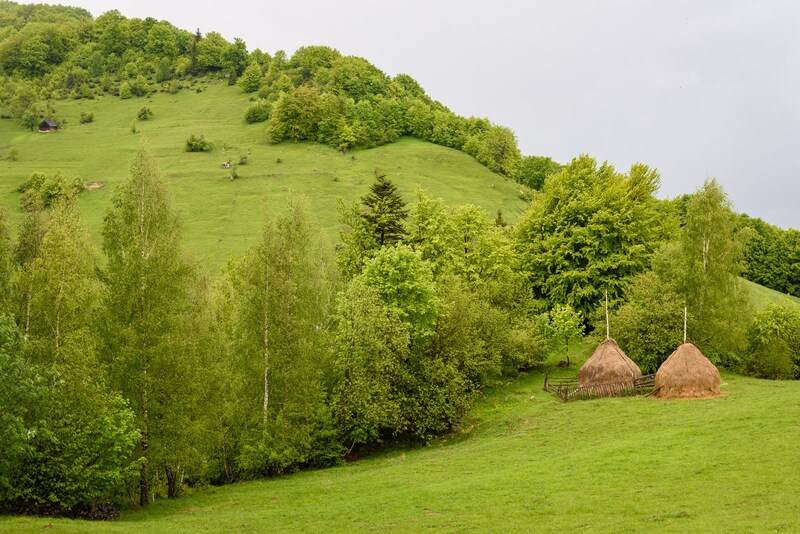 Due to the secluded location of these villages they still preserve traditional rural life, as it can no longer be experienced in Western Europe. People live mostly on what their sheep give, everyone has a cow in the stable and a few happy chicken in the yard. 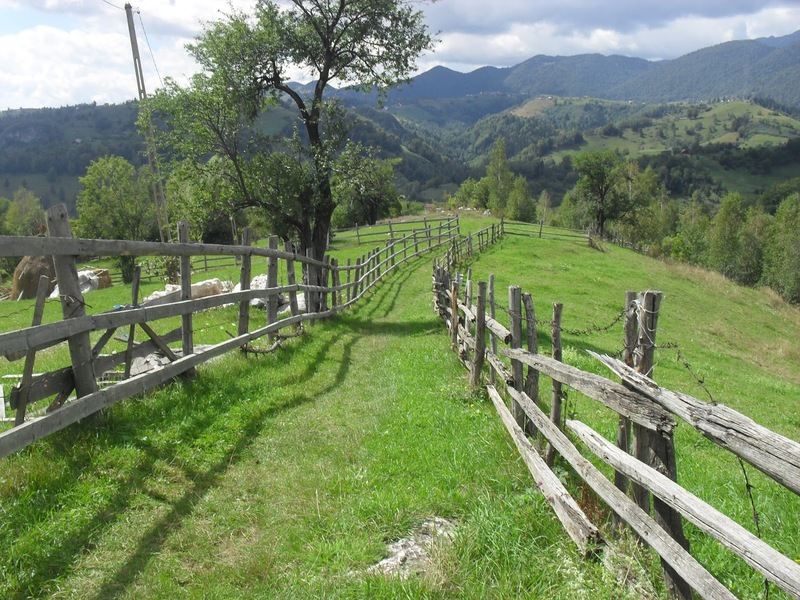 At noon we visit a traditional farm where a transylvanian picnic awaits us. Late afternoon we return to the villa. Distance: 10 km approx. Duration: 5 h approx. 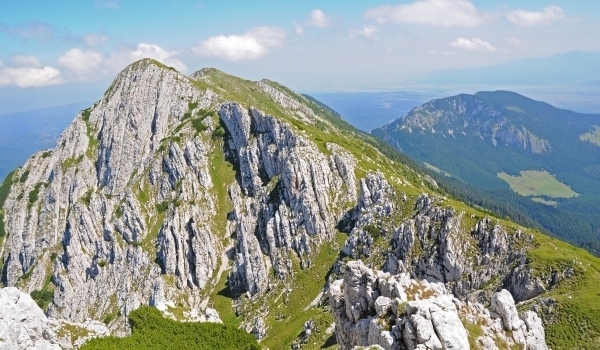 In the morning we drive to Zarnesti, where we first visit the bear reserve established in 2005. Nearly 80 European brown bears have found a new home in an oak forest. All these bears were saved from imprisonment and can now live their lives in a natural environment. 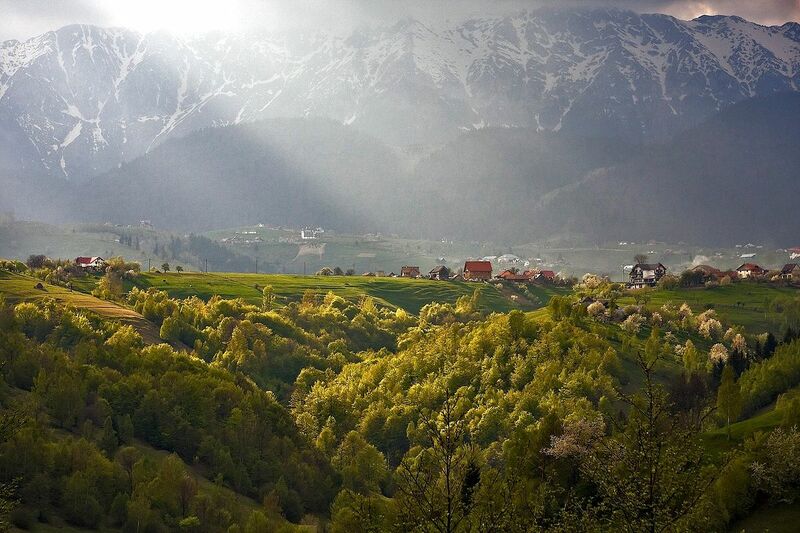 From the bear reserve we start a 3-hour hike over a gentle ridge to Wolkendorf village. 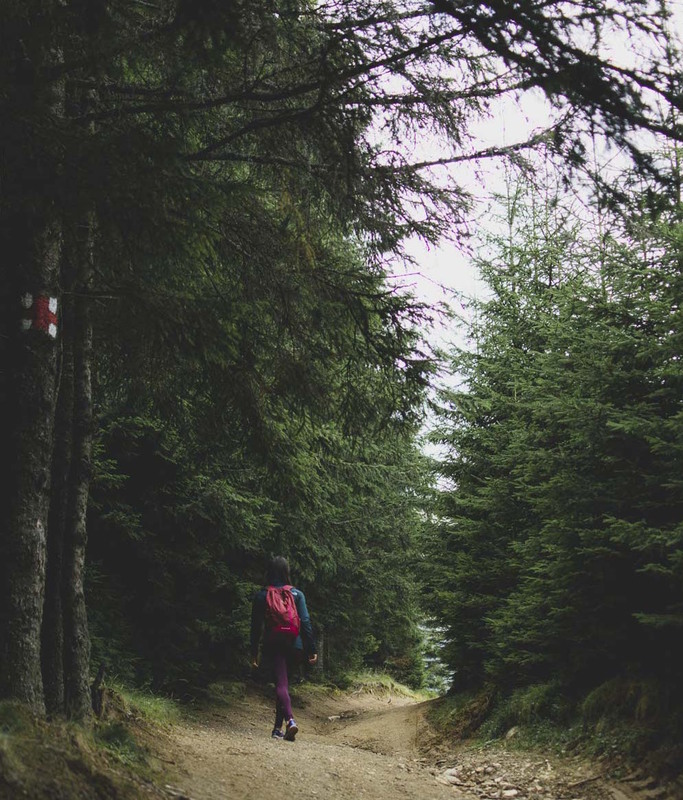 On the hike we can see many birds, among others, this is the habitat of the Red-backed Shrike or Black-fronted Warbler, but also of Woodpeckers or the Hoopoe, as the path leads through open hills with large, solitary trees and through deciduous and coniferous forests. In Wolkendorf we are welcomed with coffee and cake, then we explore the well restored and lovingly maintained fortified church. We drive back to the villa in our minibus. Distance: 8 km approx. Time: 2-3 h approx. For centuries, Bran Castle secured the pass road into Wallachia against invading enemies. In addition, it served as a toll station for the traders who traveled from Kronstadt towards as far as Turkey. From Magura we walk over the hills and through the forest to Bran. 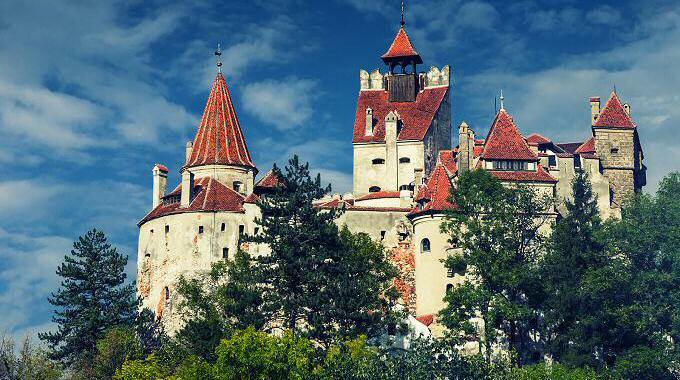 Nowadays, the castle is better known as the castle of the bloodthirsty Count Dracula. We will find out what this legend is all about. We return back to the villa in the afternoon in our minivan. Motivated hikers can of course walk back to Magura. Typical Romanian: with the "caruta", the horse-drawn carriage, we ride into the Burzental. There we hike uphill over flower meadows until we reach a hermitage on a ridge. 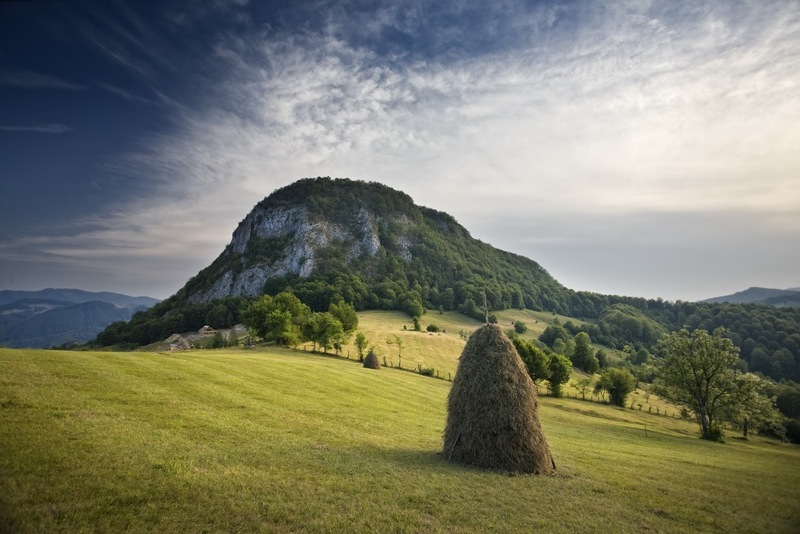 In the Middle Ages Zarnesti's population withdrew here from attacks by the Mongols and Tartars, and a chapel carved into the rock has been preserved from this period. We stop to meet the monks and enjoy their tea from self picked wild herbs. 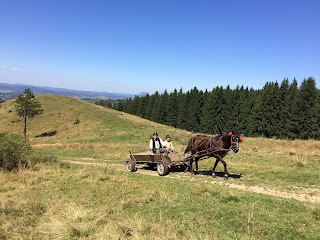 In the valley, the horse-drawn carriages await to take us back towards Magura. In the evening it is possible to observe wild bears from a secure high seat in the forest with a ranger (optional, extra charge 50 Euro). 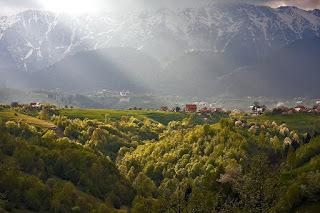 In the morning we hike down into the valley to then go up through the Zarnesti Canyon, which was dug into the rock about 3 million years ago by water, to arrive at a summer pasture. On the way we take a rest and at tea at a hut. If the weather and physical fitness allow, we climb from the hut to the small King’s Stone (1816 m). If you do not want to climb up there, you can stay at the hut and reach the meeting point on a different route. Today we say goodbye by getting together in a closing circle. Transfer to the airport in Bucharest.